A familiar face on the Australian concert scene, Martin Fröstis one of the world’s few wind players with an international career, who performs with all the major orchestras, as well as in chamber music and solo recitals. 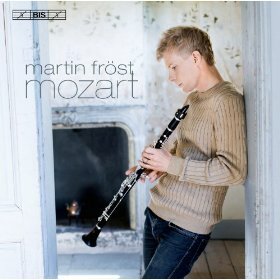 On this disc is music Mozart specifically wrote for one of the great clarinetists of the time, Anton Stadler, whose playing was said to perfectly imitate the human voice. Fröst easily emulates this characteristic. Directing The Deutsche Kammerphilharmonie Bremen, Fröst shows not only exquisite skill in executing the ethereal solo lines of the Mozart Clarinet Concerto in A (K 622), but also in his leadership of this fine ensemble. His lyricism and phrasing is just extraordinary, with a tonal quality that is heavenly. On this recording, Fröst plays a modern reconstruction of a basset clarinet. In the first performance of the “Kegelstatt” Piano Trio No 2in E flat (K 498), Stadler played clarinet, Mozart played viola and one of Mozart’s pupils played the piano. His trio perfectly captures the intimacy of the Viennese salon of the day. Whilst not a particularly virtuosic piece, this trio does some have some moments of technical challenge. With Antoine Tamestit (viola) and Leif Ove Andsnes (piano), and Martin Fröst (clarinet), the trio’s communication sees wondrous interplay of lines. The Allegro for Clarinet and String Quartet in B flat (K 516c) completes the disc. As a stand-alone piece (completed by Robert Levin from a fragment), this work makes for a beautiful addition to the chamber repertory. Here are some firsts. Emma Matthews reveals that this recording is the first recording of her singing Queen of the Night (The Magic Flute), and Susanna (The Marriage of Figaro). She also reveals that the notion of recording came about many years ago (2008). Clearly, Emma Matthews is one of this country’s finest stars of the operatic stage, both within Australia and internationally. This recording of operatic and concert arias is a real delight, with its sumptuous orchestral accompaniment being equally matched by superbly delicious vocal artistry by Matthews. Some lesser known operatic arias that Matthews brings out from the shadows are Lieve sono al par del vento (I am as fickle as the breeze) from Il sogno di Scipione, and Ruhe sanft, mein holdes Leben (Rest gently, my dear one) from Zaide, and these balance the well known arias from The Magic Flute, the Queen of the Night aria with its powerful coloratura, and the contrasted, reflective aria Ach, ich fuhls (Alas, I feel it), as well as Susanna’s aria, Dove sono from The Marriage of Figaro. The four concert arias (KV 418, 272, 538, 217) rarely get a hearing now, but they display extremes of vocal range, demanding changes in dynamic and emotional setting, with Matthews executing them with ease and agility. 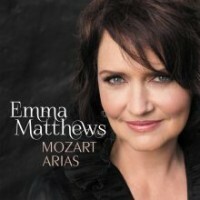 Matthews singing on this Mozart Arias CD is pure seduction of the ears! SAN FRANCISCO, July 4 (UPI) — Classical composer Wolfgang Amadeus Mozart may have died from a lack of vitamin D, U.S. and Austrian researchers suggest. William B. Grant of the Sunlight, Nutrition, and Health Research Center in San Francisco and Dr. Stephen Pilz of the Medical University of Graz in Austria say in the 18th century, the health benefits of ultraviolet-B light from sunlight and vitamin D were unknown, and people may have thought infectious diseases were more common in winter. Low serum vitamin D level is an important risk factor for several types of infection, including pneumonia and sepsis, cardiovascular disease and renal disease, the researchers said. In an article published in Medical Problems of Performing Artists, the researchers wrote at the latitude of Vienna, 48 degrees North, where Mozart lived, it is impossible to make vitamin D from solar ultraviolet-B irradiance for about six months of the year. Mozart died Dec. 5, 1791, two to three months into the winter and he is reported to have suffered many infectious diseases, including catarrh, fever and polyarthritis, sore throat, bad cold, vomiting from between mid-October 1762 to mid-May 1783. 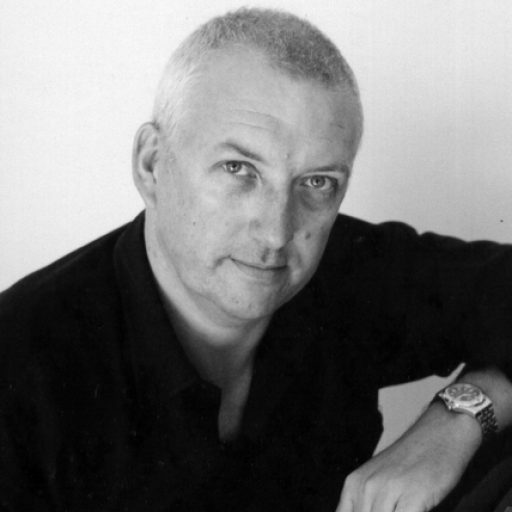 Opening with two of my favourite Mozart operatic excerpts, the Catalogue Aria from Don Giovanni and Non piu andrai from the Marriage of Figaro, bass-baritone Bruce Martin immediately captures one’s attention. His is a voice which is commanding, powerful, engaging and full of passion and drama. This magnificent double album features not only opera classics (Verdi, Wagner, Mussorgsky, Rimsky-Korsakov), but also highlights from oratorio (Mendelssohn’s Elijah), art song repertory (Schubert, Ravel), music theatre (Paint Your Wagon, Man of La Mancha, Carousel, Showboat), spirituals (Deep River) and even pop standards (My Way, For the Good Times, A Day in the Life of a Fool, And I Love You So). It is as though there is something very definitely worth singing about, or even proving. Coming a year after Martin’s controversial walk-out from Opera Australia following the release on the English label Chandos, the singer has redeemed his reputation with this amazing collection and left a wonderful treasury for all to hear and savor. Martin left the OA after believing his voice had been compromised (“trashed” was how it was described at the time) when a recording was released from a live performance of Rusalka at the Opera House, under the baton of the late Richard Hickox. Bruce Martin first stepped onto the professional stage in Perth in 1969 as Mephistopheles in the WA Opera production of Faust. He then lived overseas for most of the 1970s, singing at Covent Garden, lecturing in South Africa and now has retired to Perth. 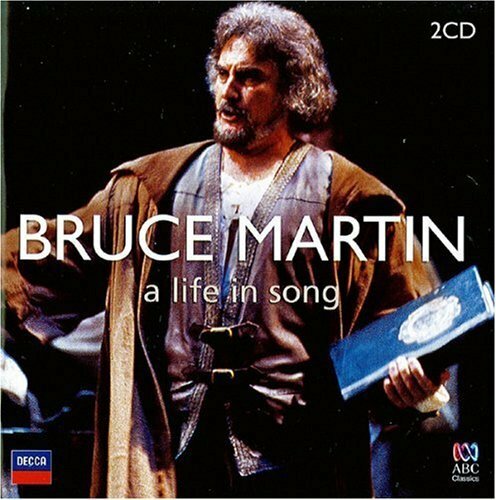 Carefully selected, the first disc displays the classical side of this singer, whilst the second disc is a surprising display of the more popular or lighter pieces in his repertoire, all of which Bruce Martin sings with equal ease and stylistic charm. This 2 CD set has been amassed from a lifetime of recording, mostly in live performances, proving that Martin is indeed a living Australian legend from the world of opera.